Click on Add New Template. 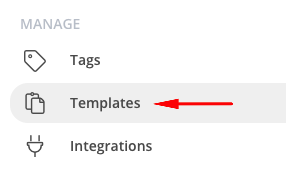 Enter Name, Subject and Template Content. 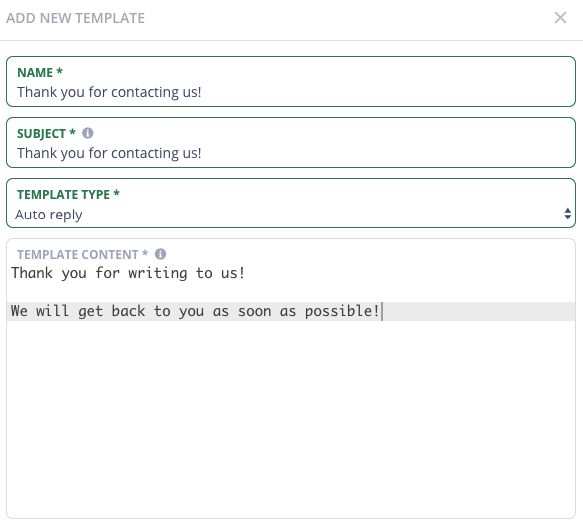 Select Auto-Reply as Template Type. - Inserts the organization name from Settings > Organization & Team. - Inserts the customer's first name. - Inserts the customer's full name. - Inserts the customer's email address. - Inserts the agent's first name from Settings > Profile. - Inserts the agent's full name from Settings > Profile. - Inserts the subject of the conversation. 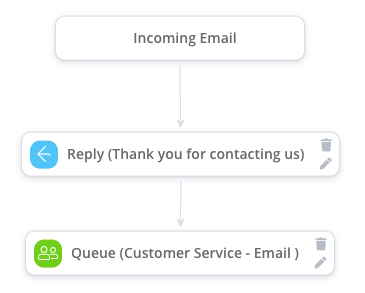 Add a Reply action in the Email Flow. 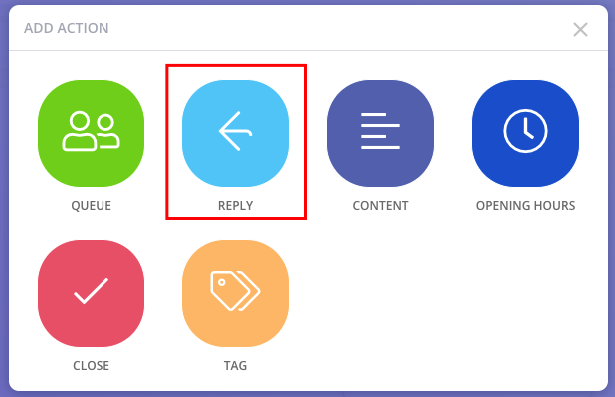 Select the auto-reply you want to use.